Arsene Wenger has conceded that Monaco midfielder Thomas Lemar rejected an offer to join Arsenal on transfer deadline day, dispelling reports the Gunners had pulled the plug on the deal. Arsenal made a move to sign Lemar after they agreed a deal to sell Alexis Sanchez to Manchester City on Thursday, with the Gunners believed to have had a massive £92m offer accepted by Monaco. Lemar's arrival at Arsenal would have triggered Sanchez's move to Manchester, yet both deals collapsed amid initial reports that the Gunners 'decided' not to finalise the deal as they ran out of time to conclude the deal. "The player has chosen to stay at Monaco," stated the Arsenal boss. "I do not want to talk too much. You have to respect what really happens on the negotiation side. Wenger also claimed Sanchez's move to City was 'not close', which may also be an accurate version of events as the Chilean was never going to leave Arsenal unless they signed a replacement. "I can not tell you everything that happened because after you decide to let a player of that calibre go, you need to replace him because nobody would understand that you let the player go," he added. 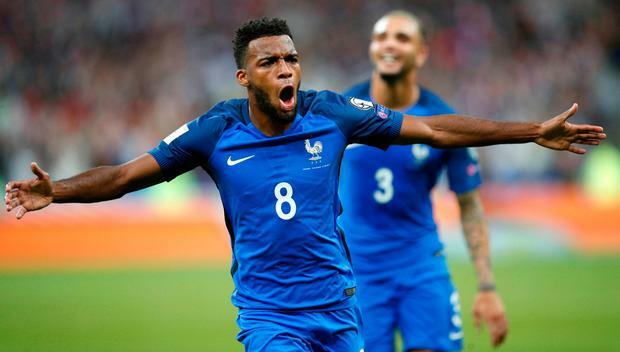 There remains a suspicion that Lemar may have been more open to a transfer if Liverpool were the club making an acceptable offer to Monaco, with his desire to play Champions League football at the forefront of his ambitions.